Tons of barcode scanning apps are available for our smartphones. 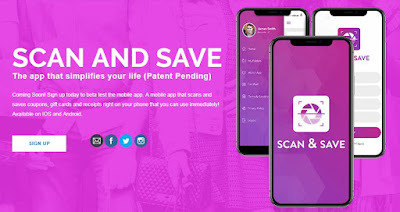 This type of app can be quite handy, helping us to save time and money, scanning, saving and managing barcodes of our receipts, gift cards or coupons and access them at any time, directly on our phones. Finding the most quality barcode scanner is not that easy but luckily for you, we did our research and we discovered the most efficient barcode scanning app to simplify your life - Scan and Save App!